Welcome to South Suffolk Learning Trust. We are a partnership of four High Schools and one Primary School based in South Suffolk and Essex which aspire to offer the best possible education for our young people. All learners in our Trust will be challenged and supported to be the best that they can be and develop into responsible citizens with a passion for lifelong learning. 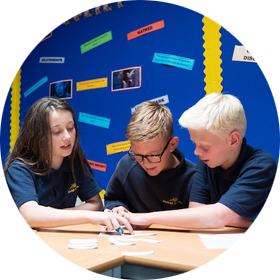 Our vision for the Trust is to provide an excellent education for the young people in our learning community through highly effective collaboration, based upon mutual challenge and support.